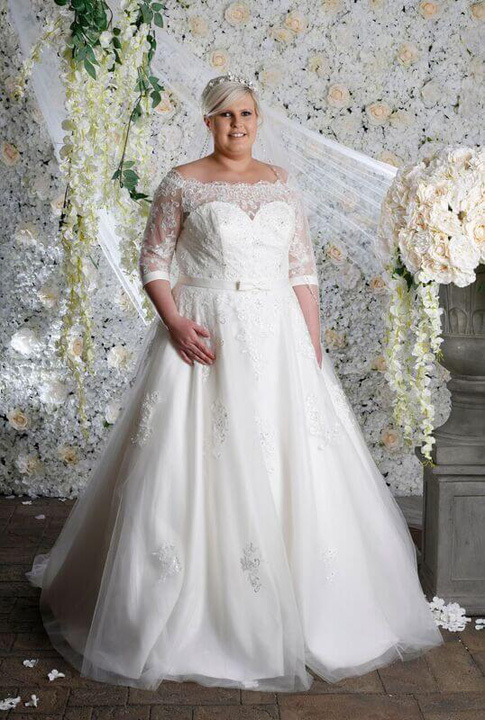 This gorgeous wedding dress is an off the shoulder ball gown with 3/4 sleeves. It has pretty lace motifs positioned beautifully around the bodice and scattered down the full tulle skirt. A thin satin belt around waist with bow detail in centre accentuates that hourglass figure. The off shoulder detail follows to the back of the dress and fastens with a zip.